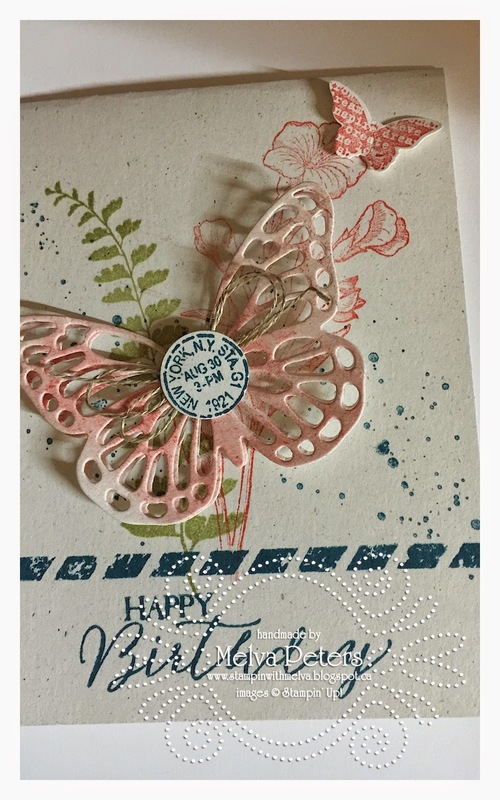 I've had so much fun playing with the new products in the Occasions and Sale-a-Bration catalogue. Every catalogue there is one stamp set that I completely fall in love with. Can you guess which one that is? Is it the same as yours? For me, it is Butterfly Basics with the coordinating Butterflies Thinlets. I don't think I've seen a card made with these products that I don't absolutely love. Here's a few samples - you be the judge! 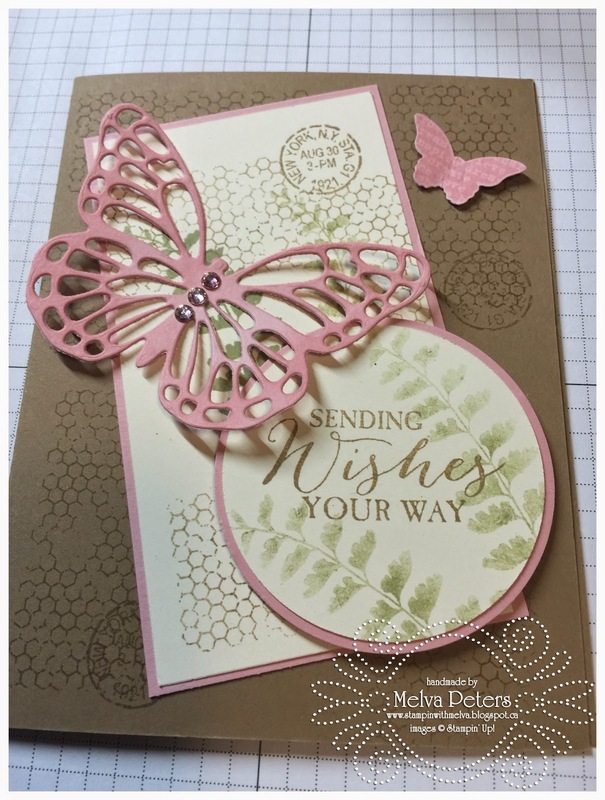 This card used Blackberry Bliss and Gold as the main colours with the butterflies cut out of Gold Foil! My favourite so far! This card is case'd from the Occasion's catalogue - too beautiful not to! I changed up the sentiment! 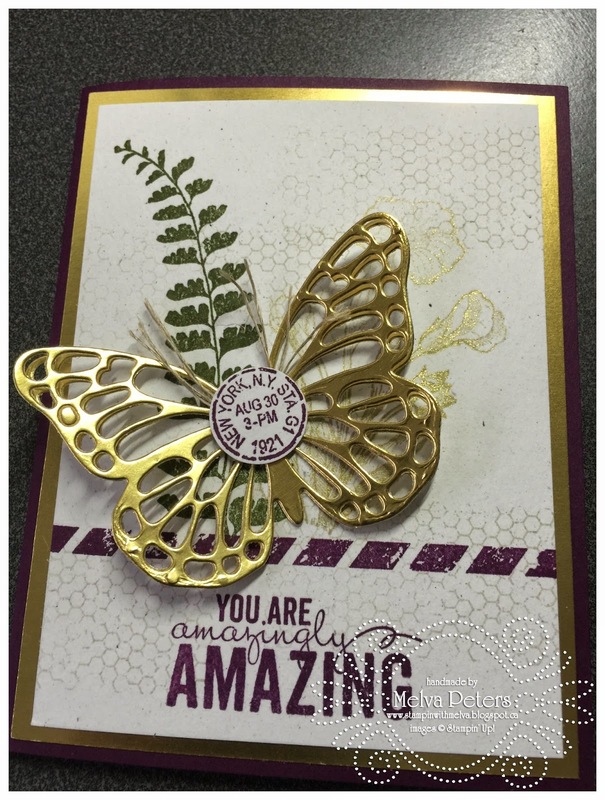 This card was designed by Ann Driscoll for a stamping event I attended. Love it! The stampset is available in wood, clear and polymer! You can purchase the stampset and thinlets as a bundle! Don't forget that it's Sale-a-Bration so if you spend $60 you can choose a free reward from the Sale-a-Bration catalogue. Purchase the Wood or Clear bundle and you're there! If you haven't received your catalogue yet, email me and I'll get them to you!